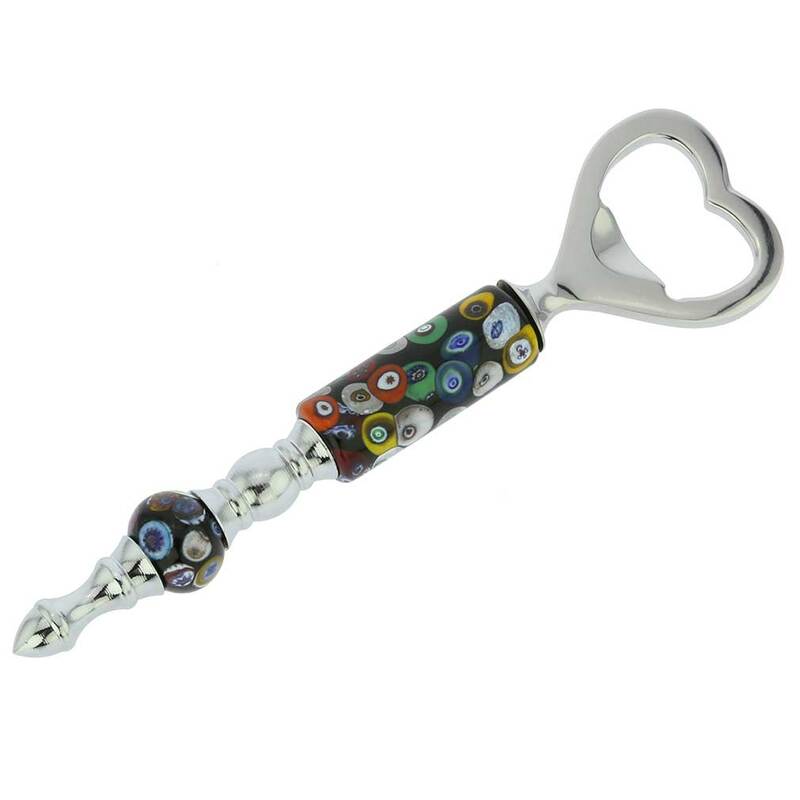 This exquisite Murano Glass bottle opener brings European elegance and Italian tradition to your table. 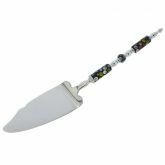 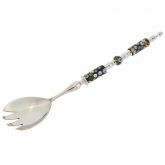 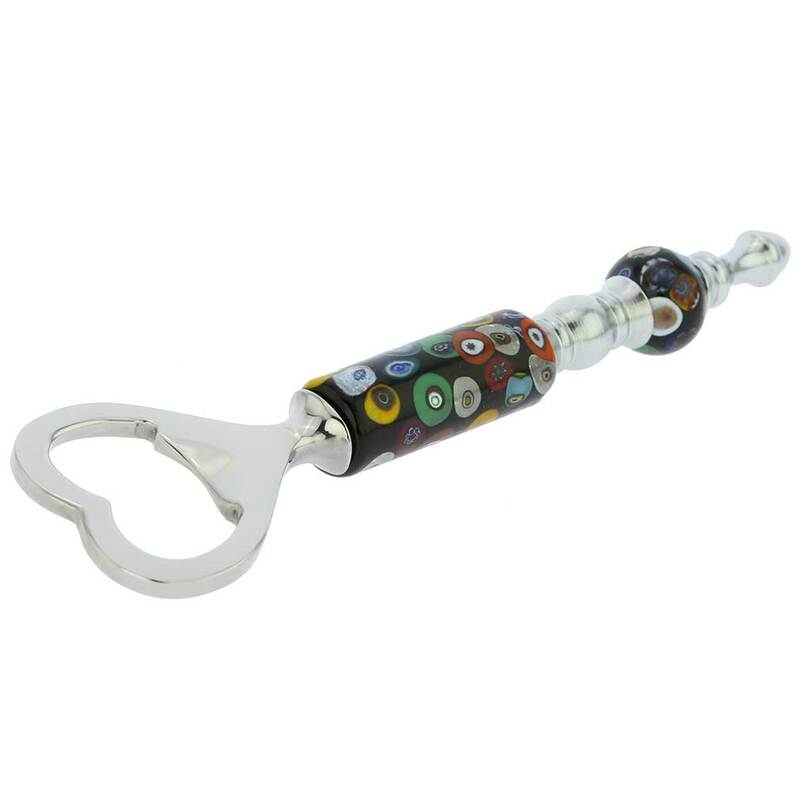 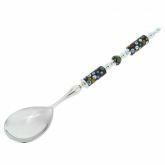 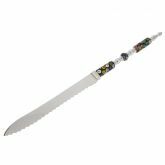 A perfect gift for those who like to live and entertain in style, this fine bottle opener features a genuine Murano Glass cylindrical handle lined with a gorgeous pattern of sparkling millefiori pieces in the tradition of Venetian opulence of the eighteenth century. 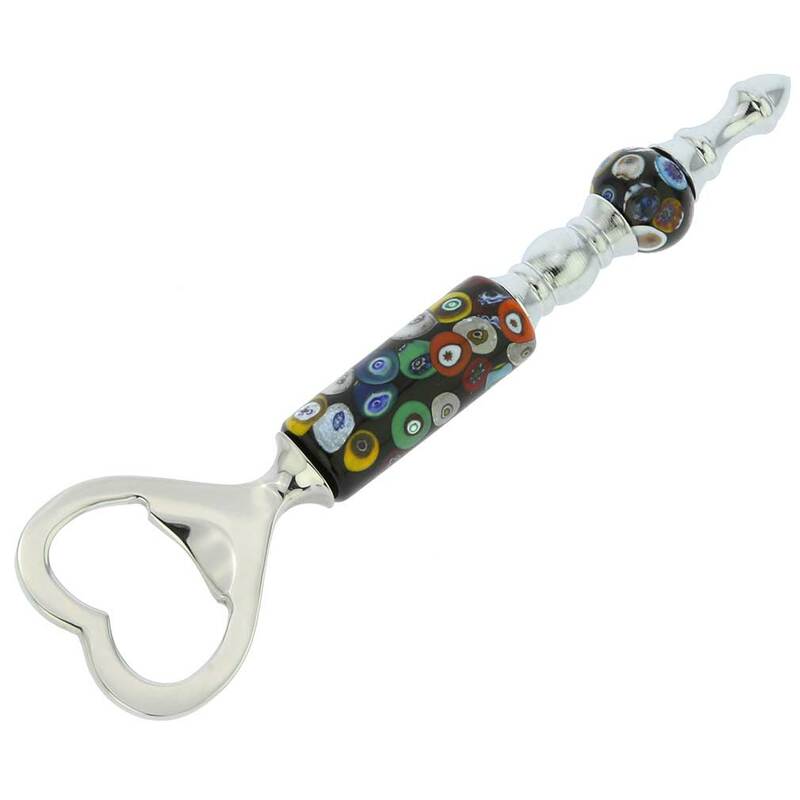 This unique bottle opener with its rich colors and elegant design is sure to impress your guests and add a beautiful Venetian accent to your barware collection.This Murano bottle opener features high-quality chrome-plated non-tarnish finish.